Ever heard of Philipp Max? No? Where have you been while the Augsburg defender has set up as many goals as Bayern Munich's FIFA World Cup-winning forward Thomas Müller and more than his colleague for club and country, Philipp Lahm's successor Joshua Kimmich. 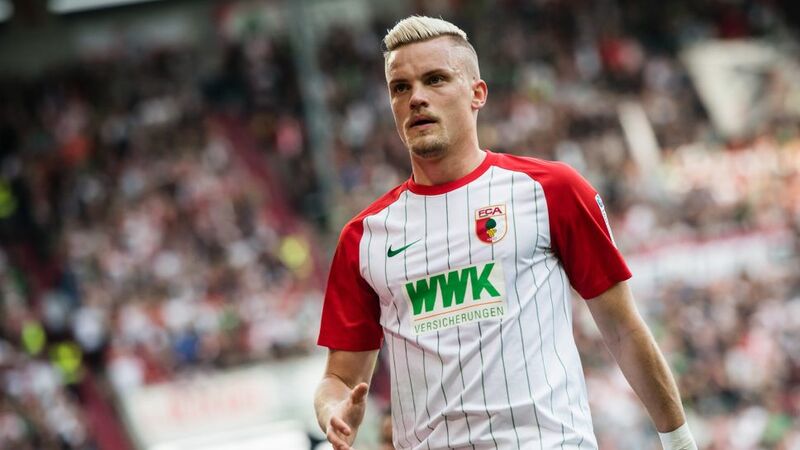 If Augsburg can look forward to another season of German top-flight football with room to spare, Max’s game-changing ability at left-back has been a key factor. Given his dad Martin was twice the Bundesliga’s leading scorer during his time at 1860 Munich around the dawn of the millennium, the fact his son is so often found on the front foot is perhaps no surprise. What is eye-catching is just how effectively he does it. The 24-year-old’s Bundesliga-joint-leading 12 assists — level with Bayern's World Cup winning forward Müller — coupled with the goal he struck against Eintracht Frankfurt on Matchday 4 mean he has been involved in 13 of the 40 occasions his club have hit the net this term, that’s only three less than Iceland international Alfred Finnbogason, and he’s a striker! In 14 glorious seasons, Bayern legend Lahm only managed to get his combined goals and assists tally into double figures once, and his total of 11 in Bayern’s stunning treble season of 2012/13 was earned from a whole 34-match campaign. Well, not quite actually… Hertha Berlin’s Marvin Plattenhardt has seen four goals scored from his corner kicks this season, but Max’s tally of three means he provides a serious threat from set-pieces. Still, he can have a significant impact on a game beyond his ability to bring life to dead-ball situations. Again, his in-built attacking instincts mean he keeps his head in the attacking final third when other defenders are getting vertigo so high up the pitch. Max was on 1860's books before a three-year Bayern youth academy adventure between 2007 and 2010; he then switched to Schalke, and spent all those years as a budding forward. It was not until he moved to Karlsruhe in 2014 that he switched — on the advice of his UEFA Cup-winning dad — permanently to left-back, and it shows. He has teed up over 80 shots so far this season — more than any other player — and his 120 crosses — a Bundesliga-best ahead of fellow foraging full-back Kimmich — have led to five Augsburg goals.